Product prices and availability are accurate as of 2019-04-20 02:27:00 UTC and are subject to change. Any price and availability information displayed on http://www.amazon.co.uk/ at the time of purchase will apply to the purchase of this product. 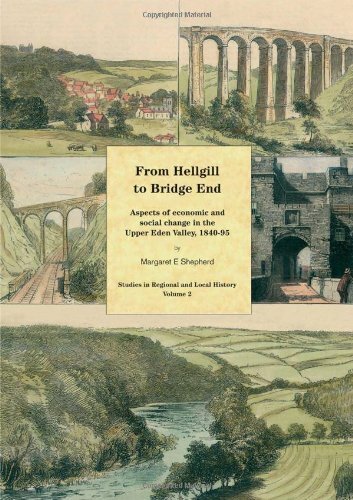 Originally an academic dissertation this very interesting book will provide a wealth of detail for anyone interested in the local history of the Eden Valley as well as family historians. It plots the many economic and social changes in the valley during the second half of the 19th century, which for many of us older folk was in the lifetimes of our grandparents and great-grandparents. From Hellgill, where the infant River Eden emerges from the fells into the Mallerstang valley, through Nateby and Kirkby Stephen to Bridge End at Brough-under-Stainmore we can follow many processes of change in the way people lived and earned their living. How many today know that there were still coal mines around Stainmore as recently as that? And of course, it was in that period that they built a railway over the pass from County Durham.